Mr. Schiff joined Arel Capital in 2013. He is responsible for acquisitions and asset management for the Northeast markets, with a particular focus on New York City. From 2008 to 2013, Mr. Schiff was the Managing Partner at Oyster Capital Group, a real estate development and investment partnership, which he founded in 2008. Until 2007, Mr. Schiff was part of the acquisitions group of Anbau Enterprise, a Manhattan based boutique condo developer. From 2001 to 2006, Mr. Schiff worked for Lehman Brothers as a credit derivatives and corporate bond trader managing a balance sheet of over $500 million. 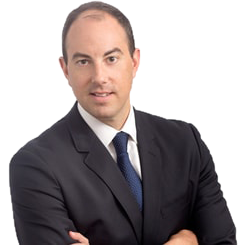 Mr. Schiff graduated from Trinity College with a degree in economics and received his M.S. in Real Estate from Columbia University.